Del Webb Dove Mountain is situated in Northwest Tucson. 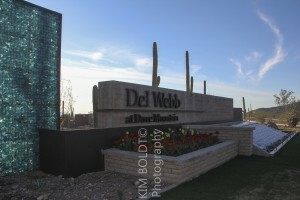 This is one of the new Del Webb communities in Tucson Arizona. Del Webb Dove Mountain is found the foothills of the Tortolita Mountains. Rolling terrain and the beautiful Sonoran Desert make this location on Dove Mountain unforgettable. This latest Del Webb Arizona community is just next door to world-class accommodations, spas, and a thriving dining and nightlife scene. Del Webb Dove Mountain offers residents active outdoor lifestyles with easy access to golf, tennis, swimming, health facilities and hiking. Tucson is surrounded by five mountain ranges. The Tortolita Mountain are in the north and provide many of miles of hiking trails. Dove Mountain is in the Tortolita Mountain Range. For those interested in seeing nature up close, hiking in Dove Mountain, Arizona is the way to go. If you enjoy a casual, yet elegant lifestyle, then the Dove Mountain area and Del Webb have it all. How about 350 days of sunshine, gorgeous sunsets and a city full of adventure. Del Webb Dove Mountain is where you belong. Thinking of buying a home in the greater Tucson area? Living In Arizona is great, but finding the right home can be a challenging process. But we can make the process much less stressful for you.